The Yamaha CLP-685 Clavinova is an exceptional digital piano boasting a GrandTouch Keyboard action that emulates a Yamaha’s premier grand pianos. 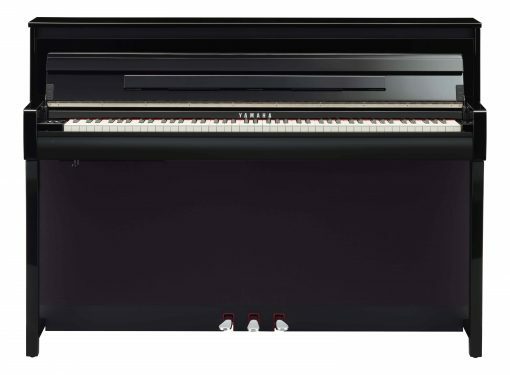 The realism and resistance of touch coupled with sound samplings from Yamaha’s CFX concert grand and esteemed Bösendorfer pianos. 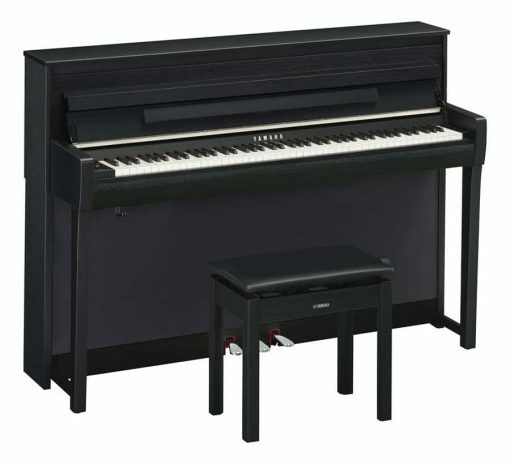 The Yamaha CLP-685 is the top of the line Clavinova in the CLP series. 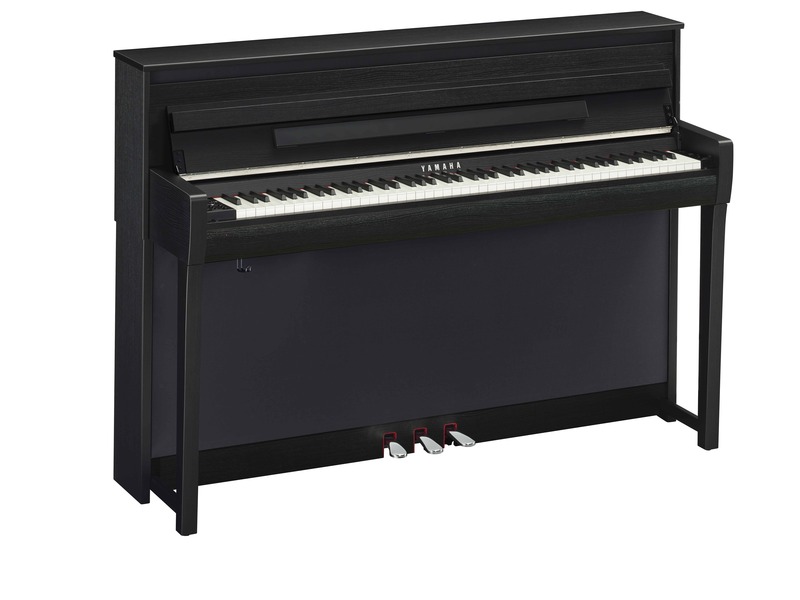 With 49 voices, 3-way spruce cone speakers, half-damper, wooden keys, and counterweight, the Yamaha CLP-685 has the most realistic sound and feel of nearly any digital piano in production. The sound of the Finest Concert Grand Pianos – The CLP-685 reproduces Yamaha’s legendary 9’ CFX concert grand and the legendary Bösendorfer Imperial in meticulous detail. Spruce Cone Speaker – Spruce wood is the wood of choice for soundboards of Yamaha’s premier grand pianos. This same wood is used for the Yamaha CLP-685 speaker cones for a deep, rich sound. 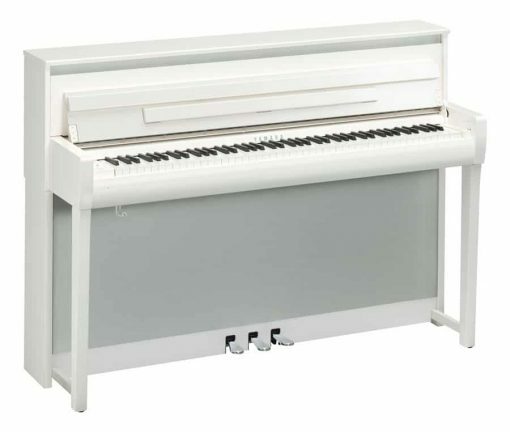 Virtual Resonance Modeling (VRM) – In an acoustic grand piano, the sound resonates through the soundboard, creating deep, rich reverberations. 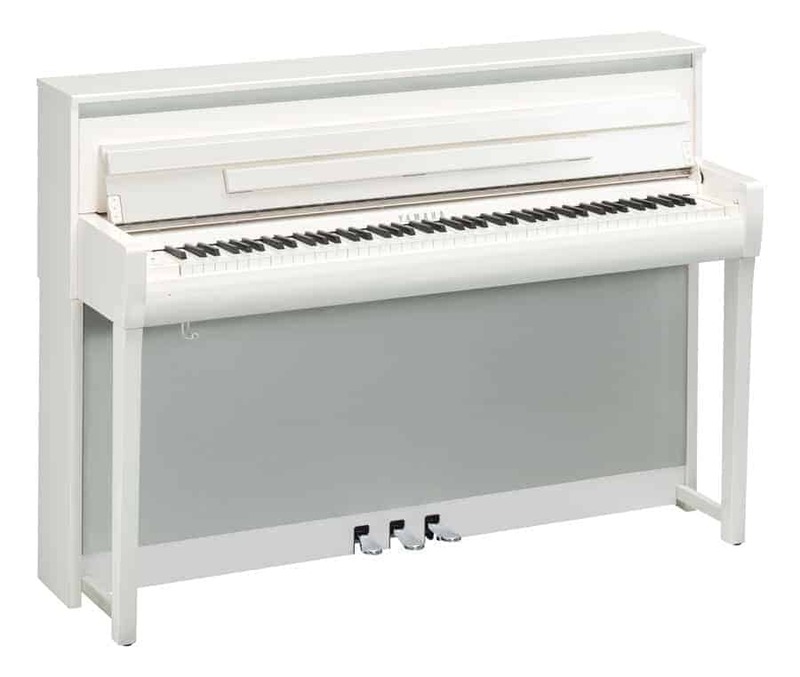 To simulate this reverberation, Yamaha developed Virtual Resonance Modeling (VRM) which calculates string state, timing and depth of damper pedals, aliquot resonance in the upper octaves, and full resonance of the soundboard, rim, and frame. These calculations contribute to a more vivid and richer voice that helps the sound of the Yamaha CLP-685 digital piano sound even more realistic than ever.